American film 'Life' is a real combination of science fiction and thriller genre. The film stars Jake Gyllenhaal as Dr David Jordan, Rebecca Ferguson as Dr Miranda North and Ryan Reynolds as Roy Adams in important roles. The film is directed by Daniel Espinosa and written by Rhett Reese and Paul Wernick. The story revolves around the first evidence of life on Mars. It is about the new organism 'Calvin' which is made from the soil particle found on the Mars planet. The way the organism evolves and becomes almost impossible to control is really horrifying. 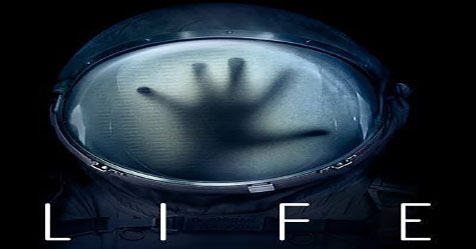 The film is different from other space science-fiction movies I have seen so far. It engages viewers with an unpredictable villain in the story instead of the beauty of space. It breaks the myth that other life forms will be friendly in nature. The film has good direction and visual effects, and a different approach to the story. The last scene of the film was beyond my imagination. Maybe, a sequel to the film can be expected. The film is not meant for the weak-hearted but it is a recommended watch to all those who love horror thrillers.